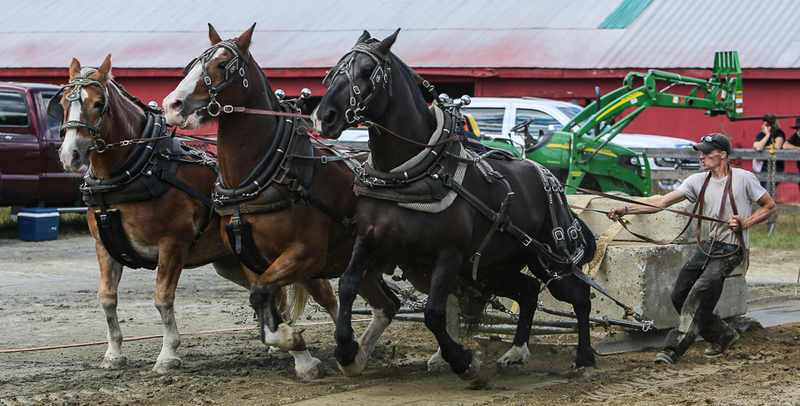 Shooting in the ring. 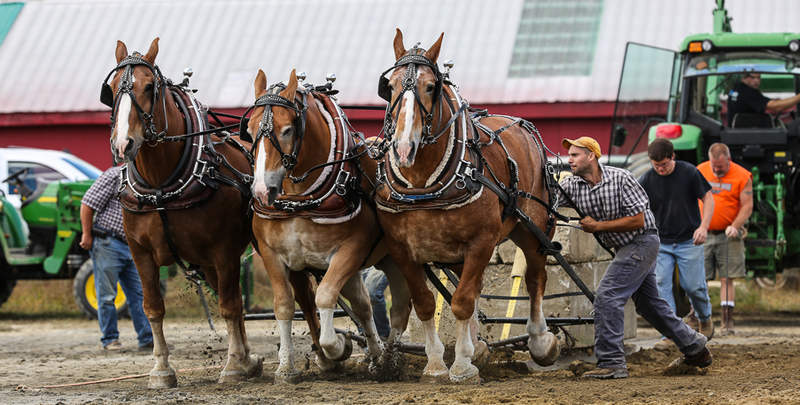 The energy of the draft animals and teamsters is palpable. 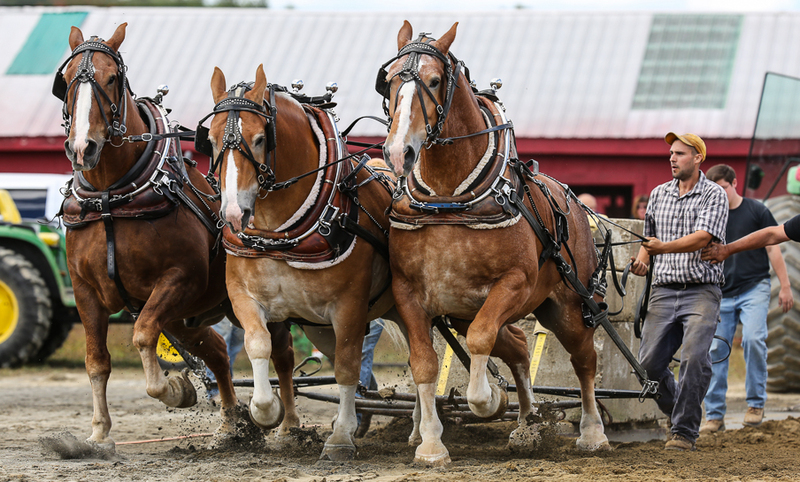 On your toes. 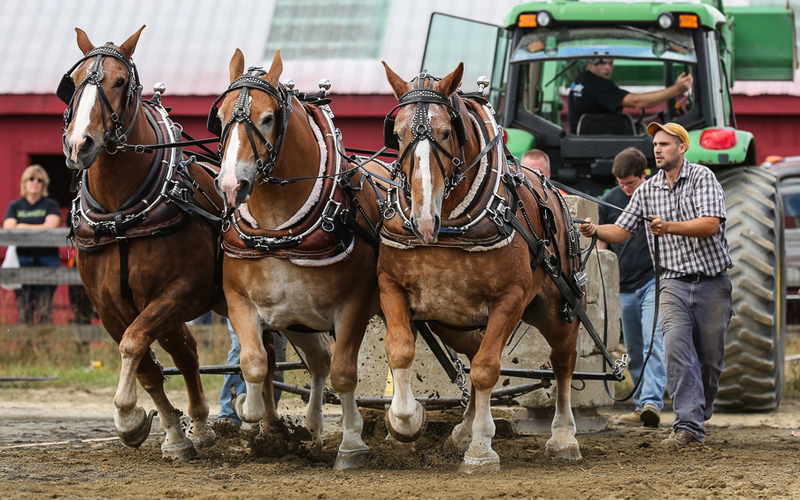 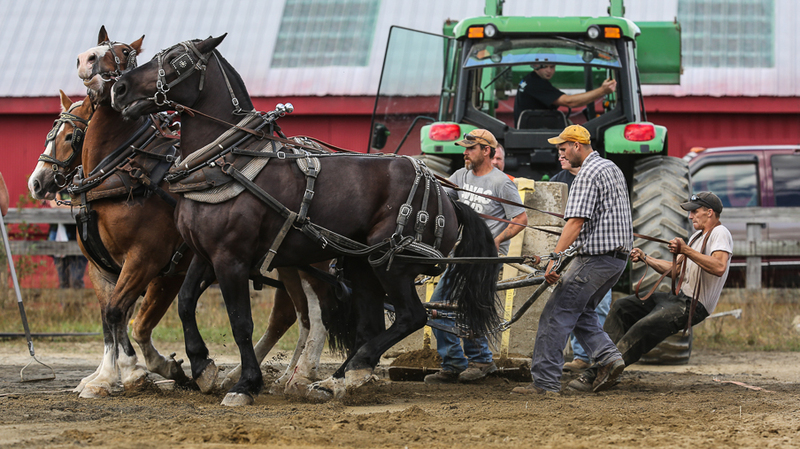 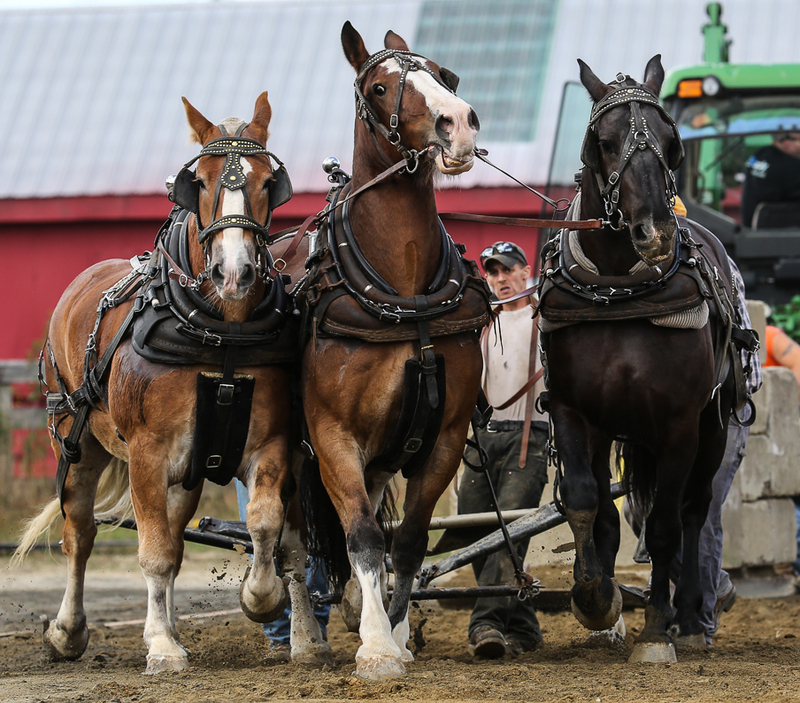 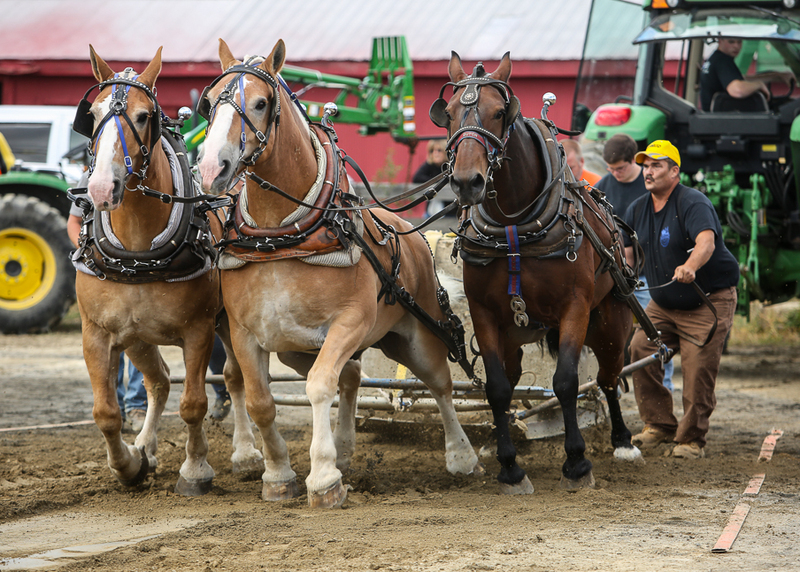 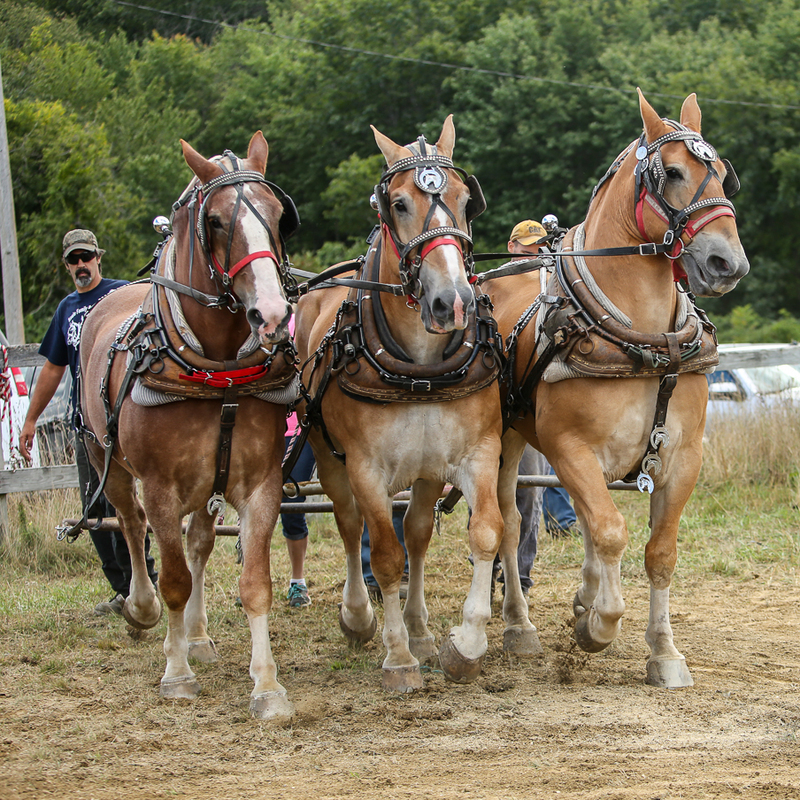 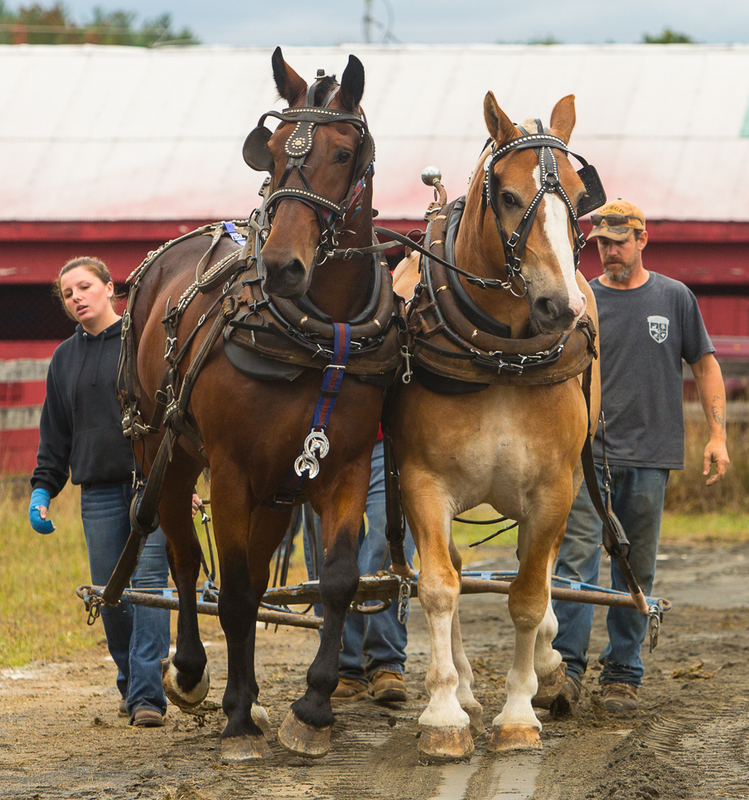 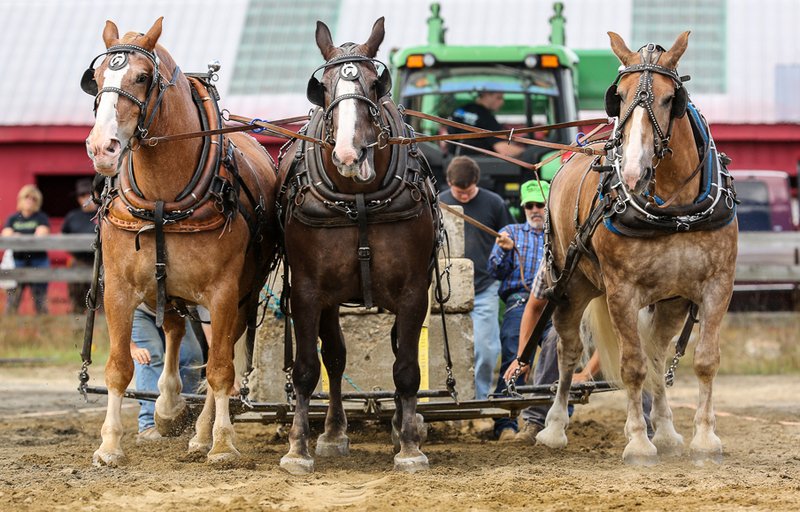 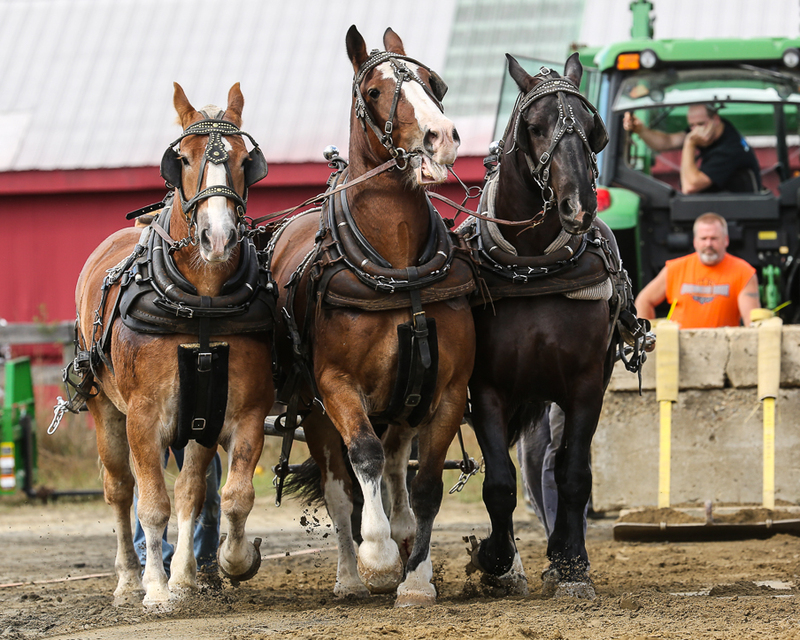 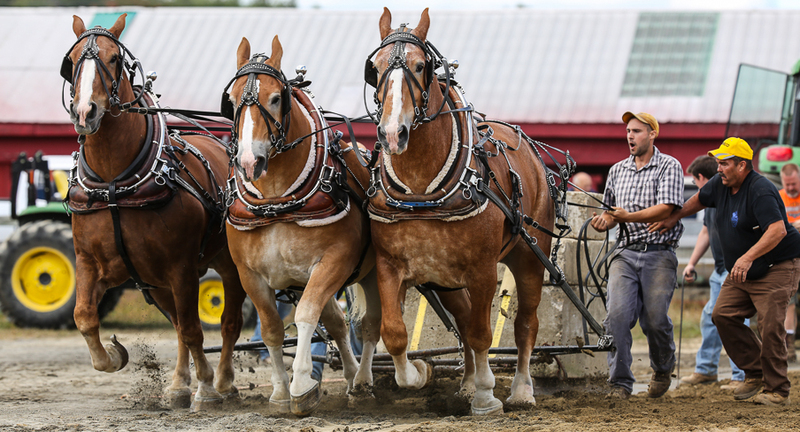 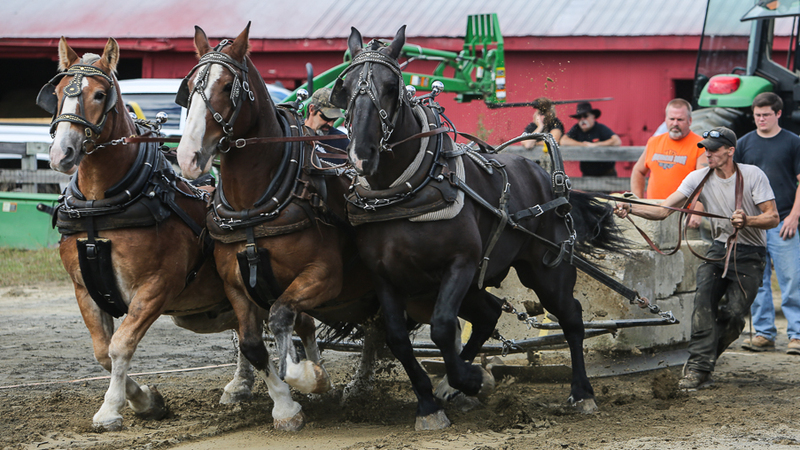 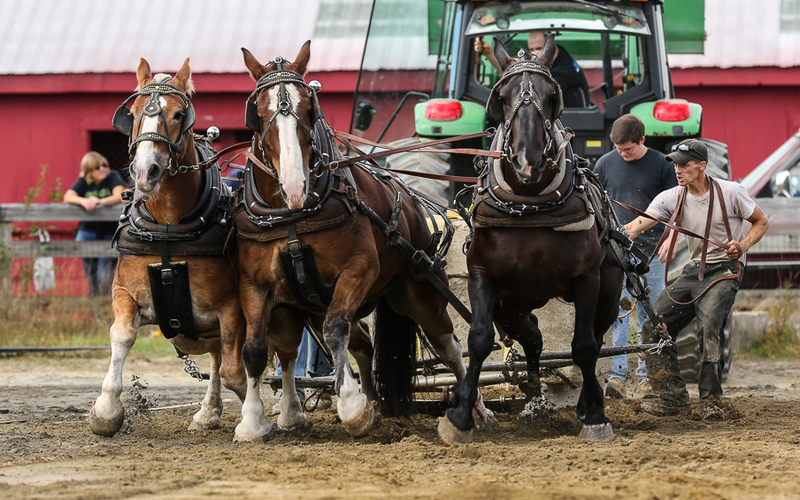 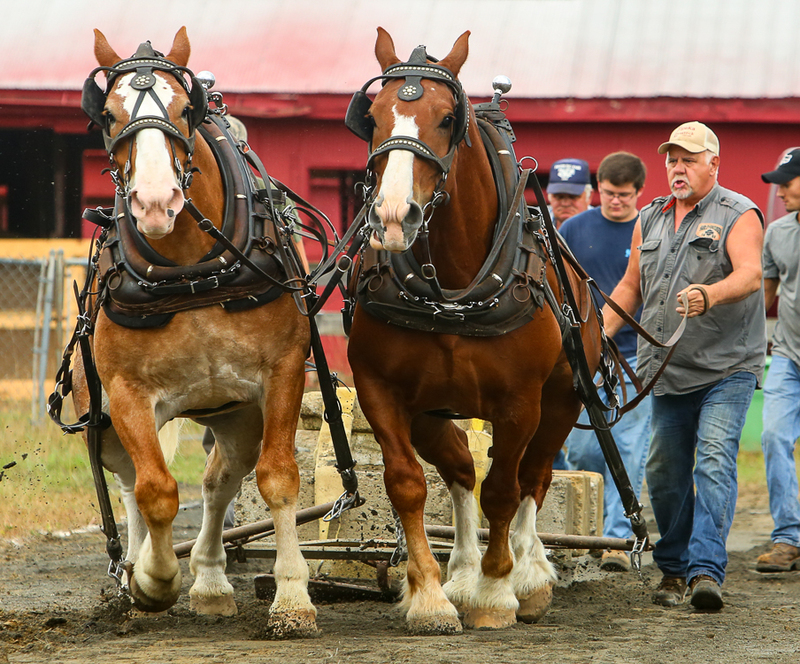 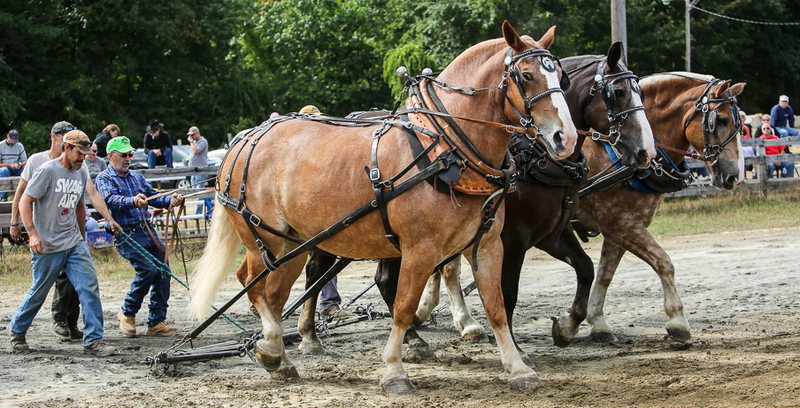 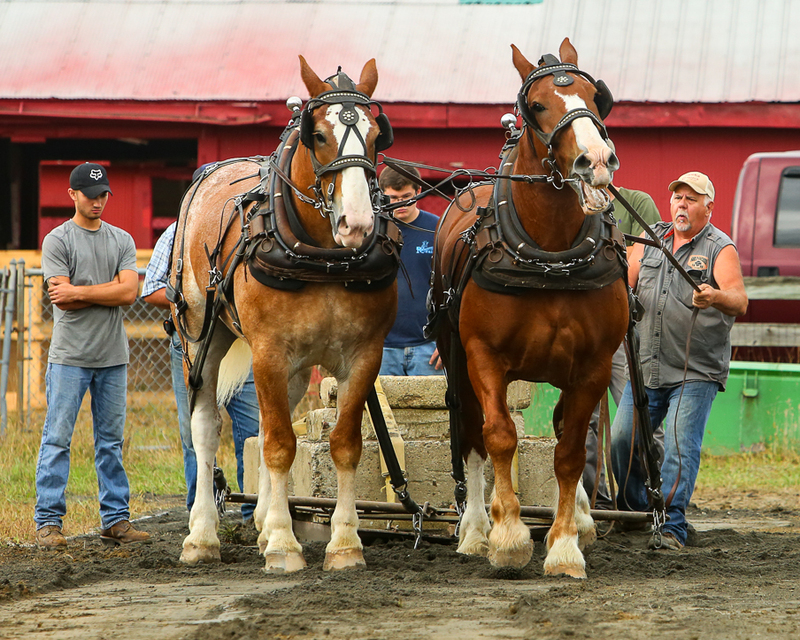 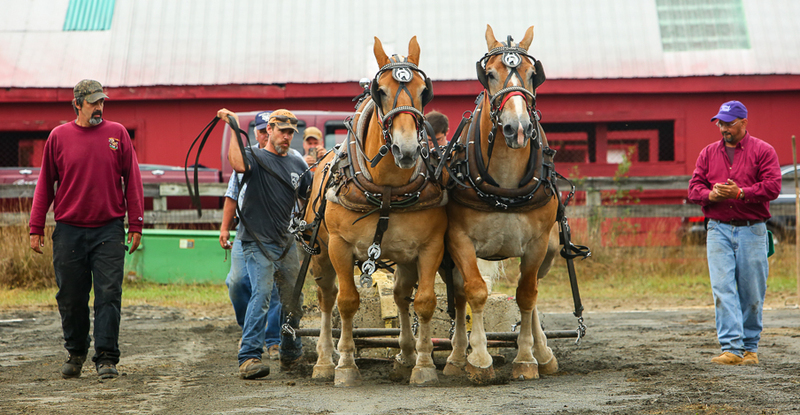 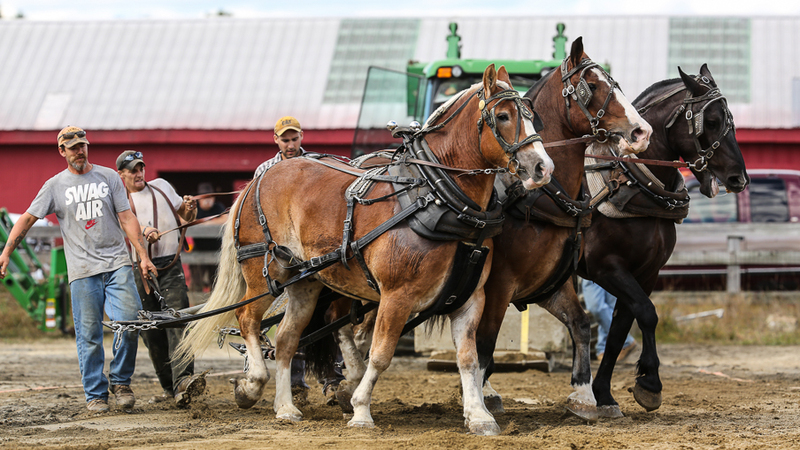 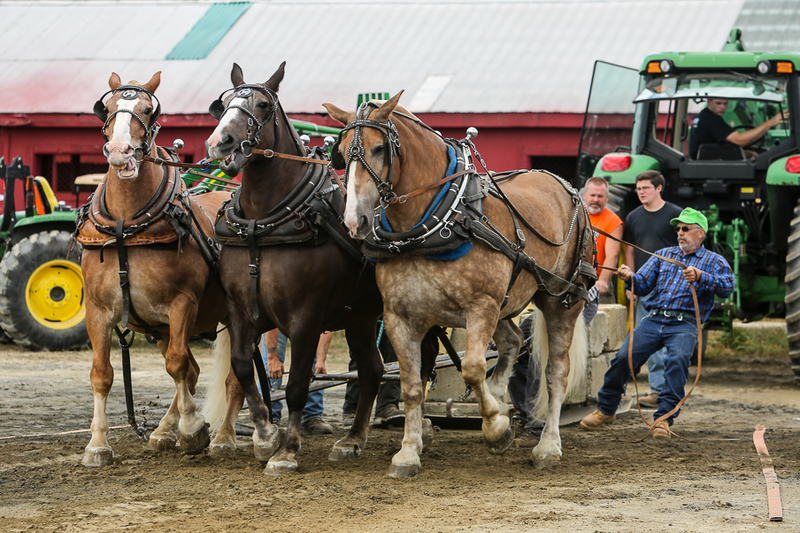 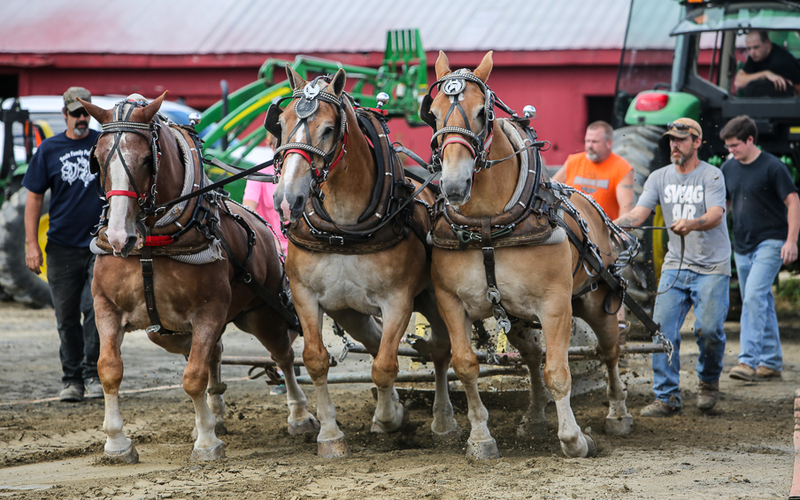 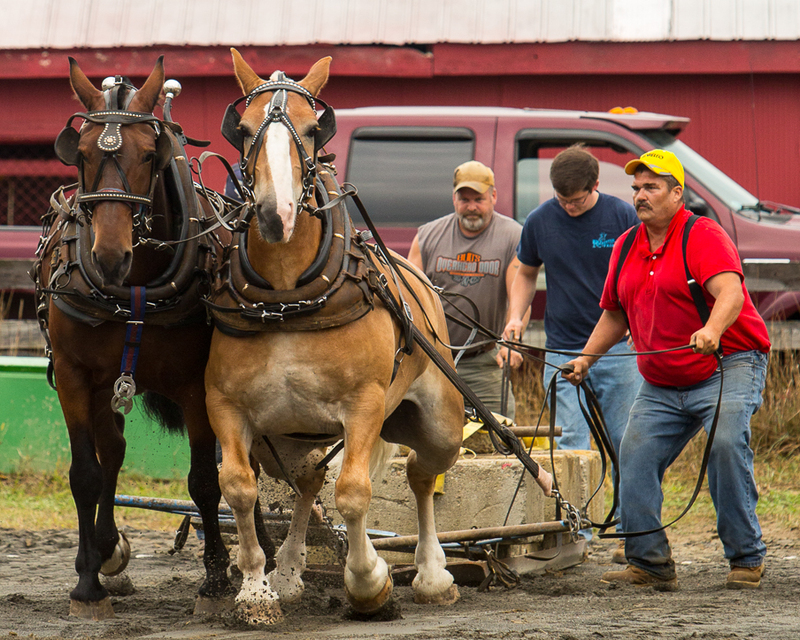 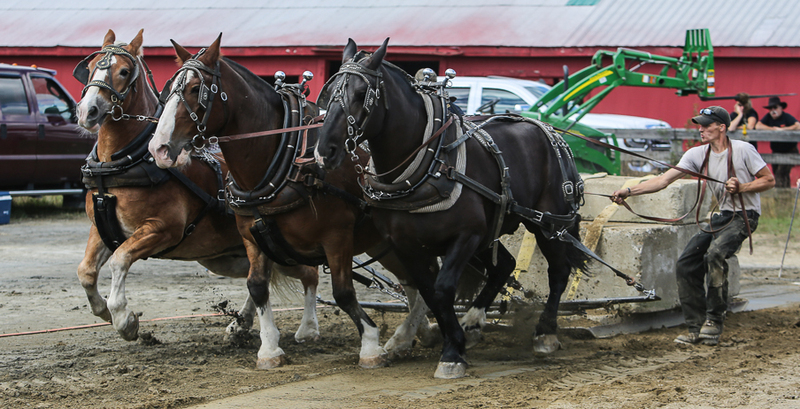 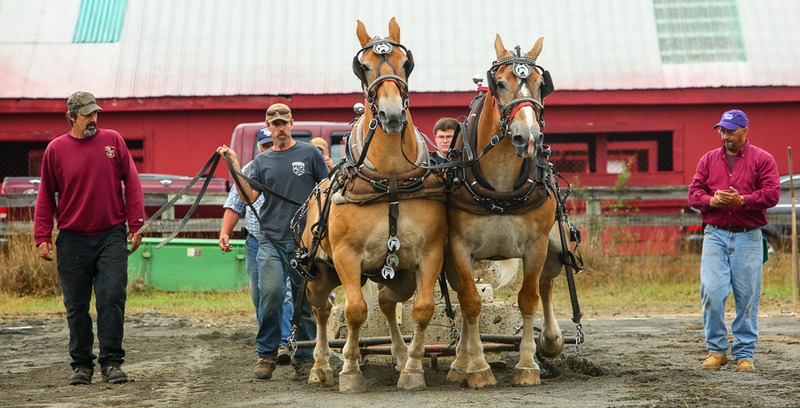 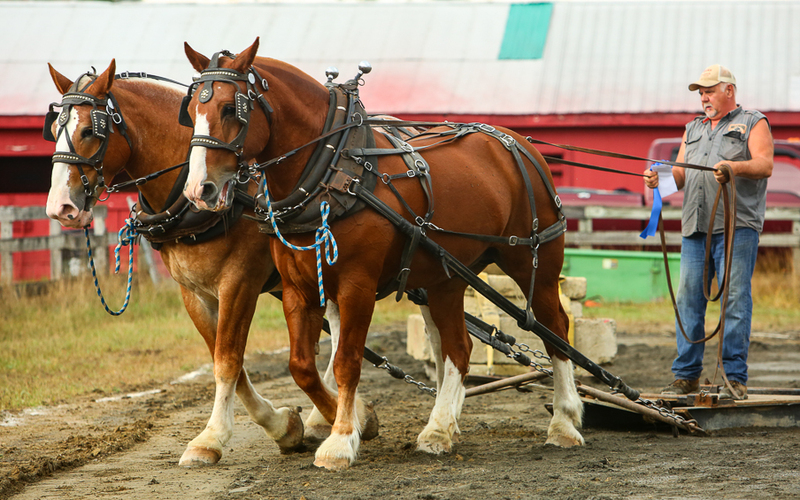 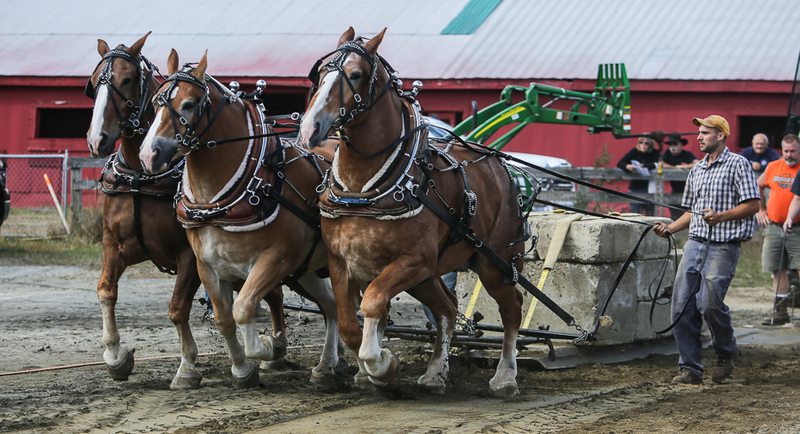 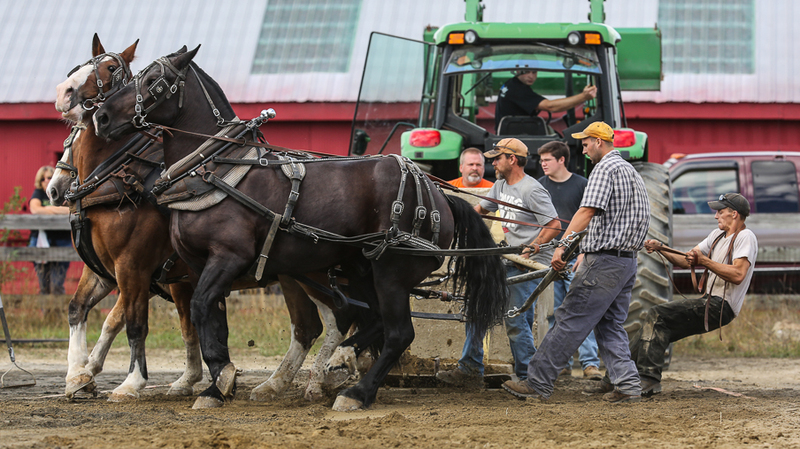 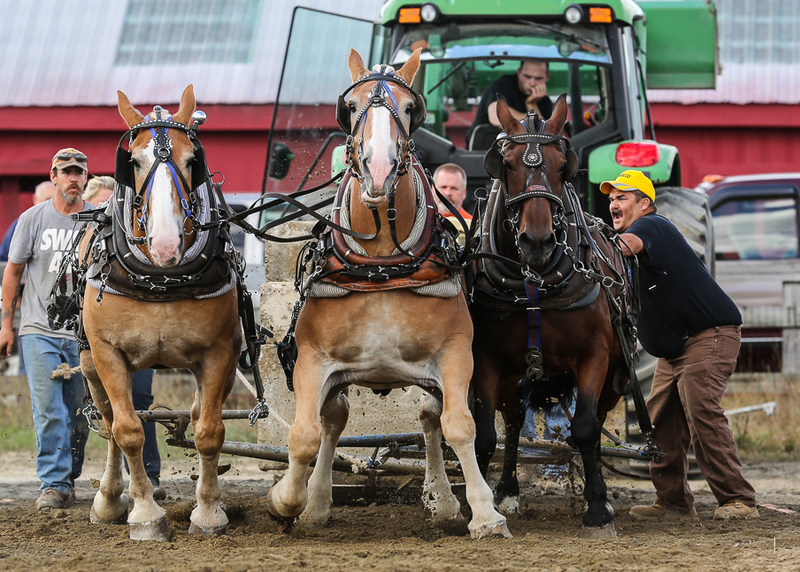 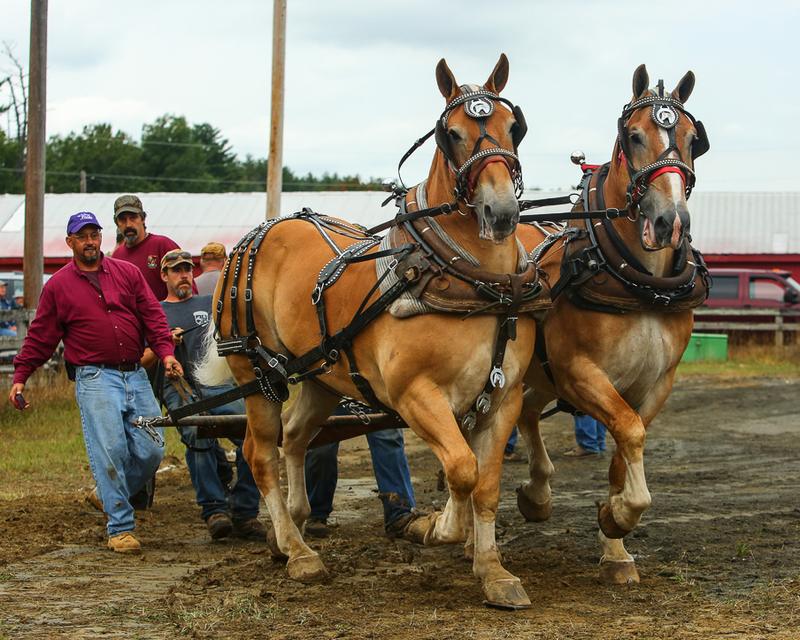 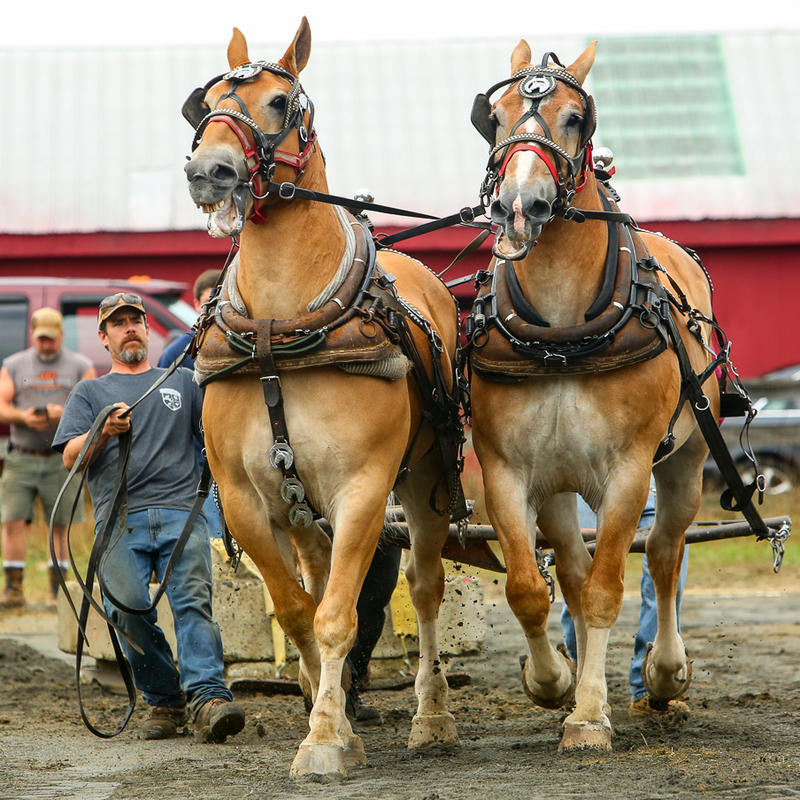 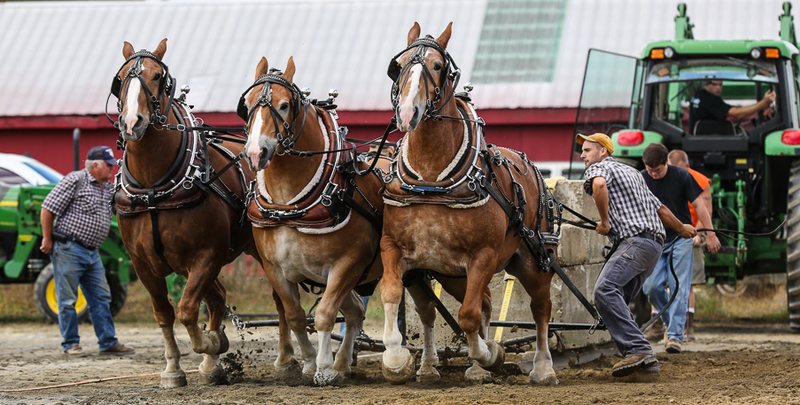 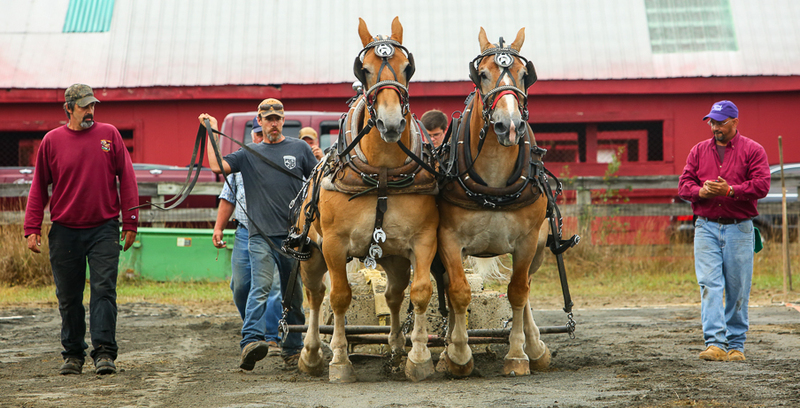 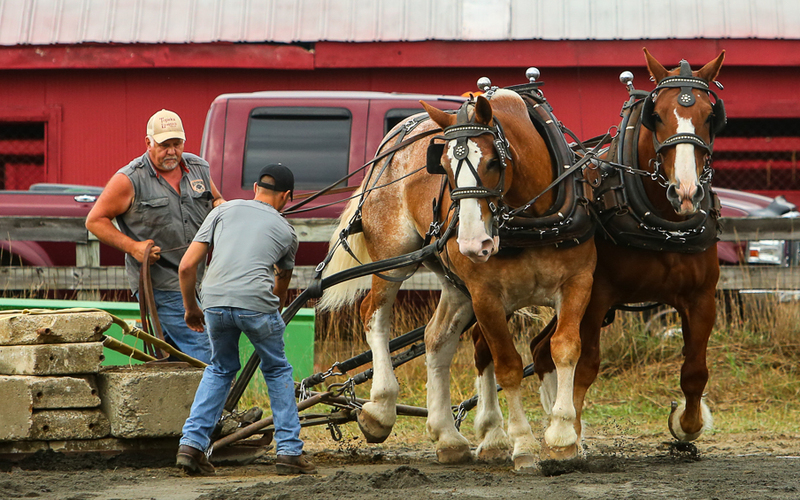 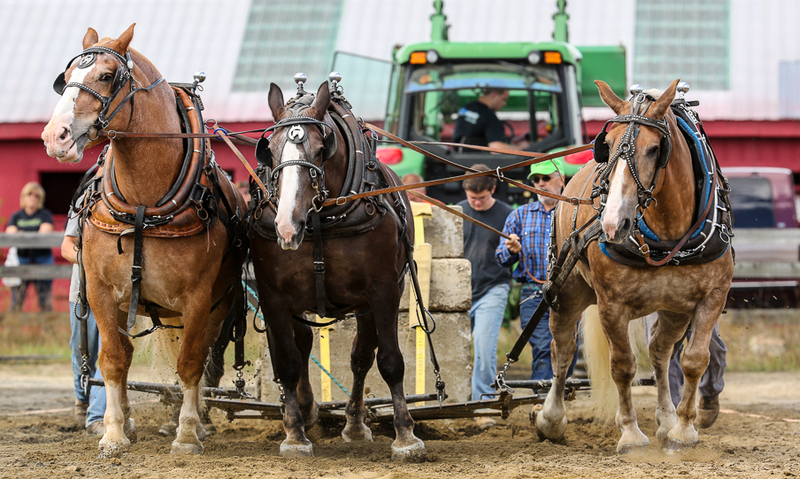 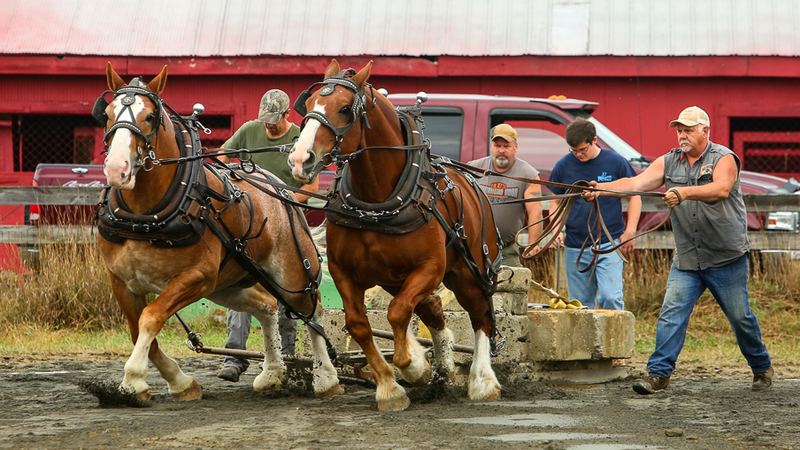 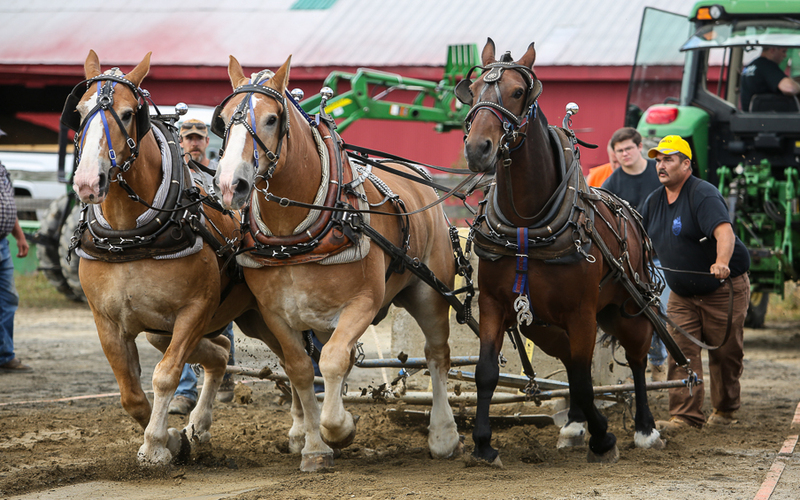 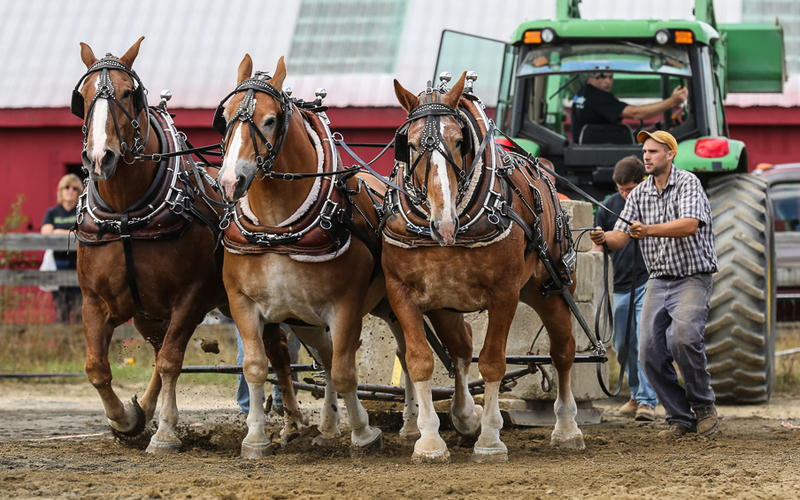 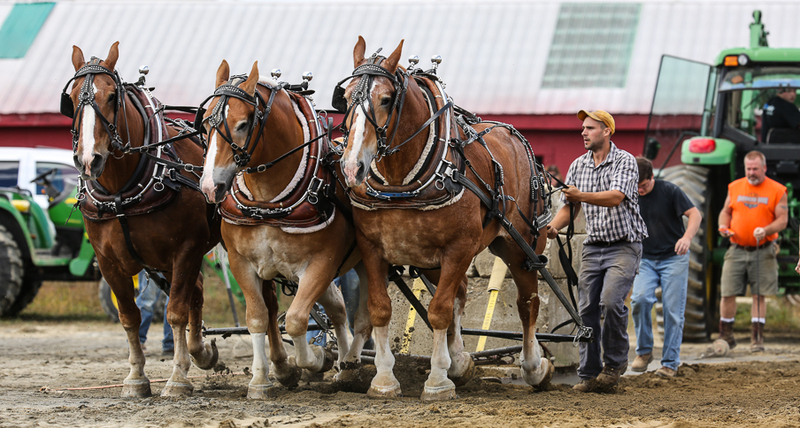 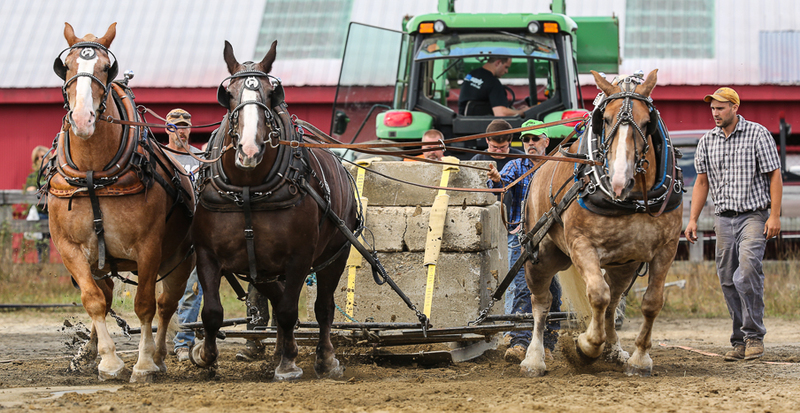 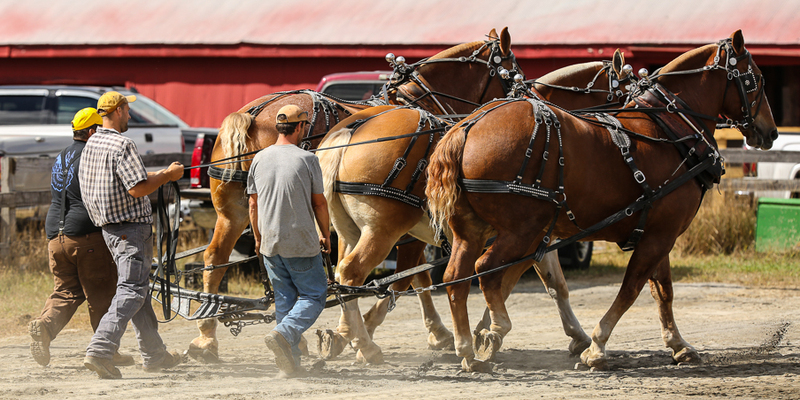 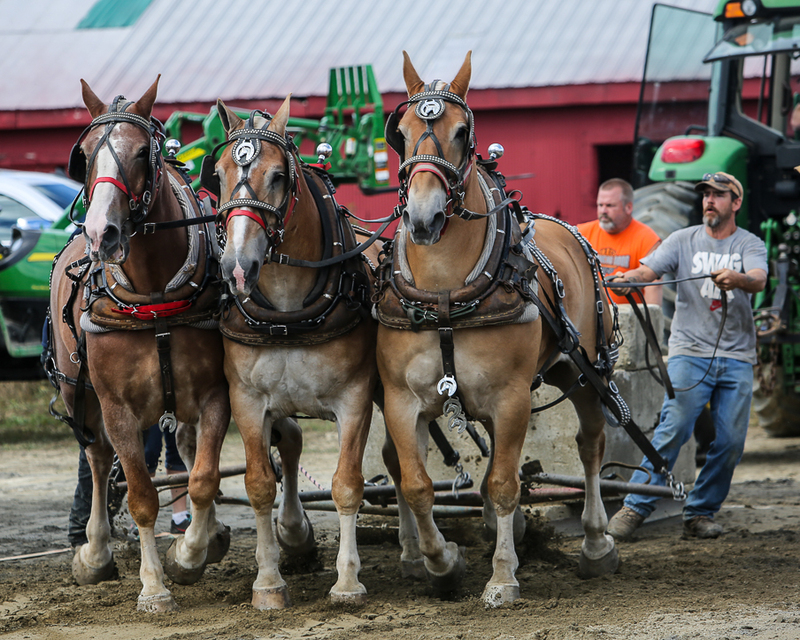 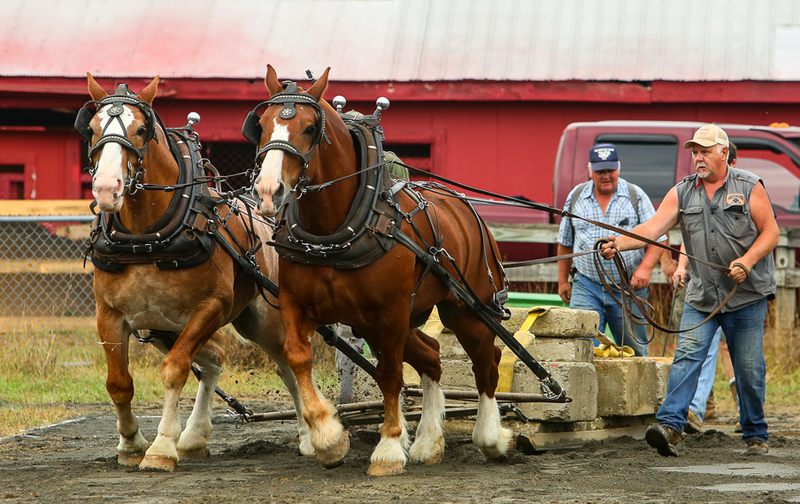 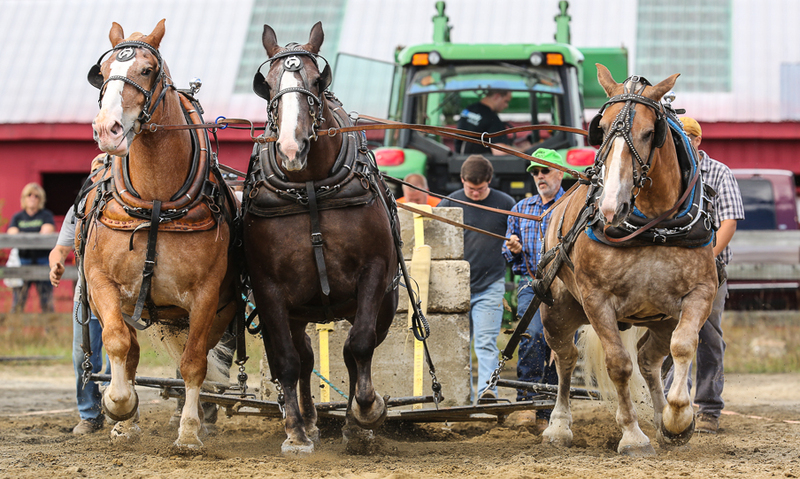 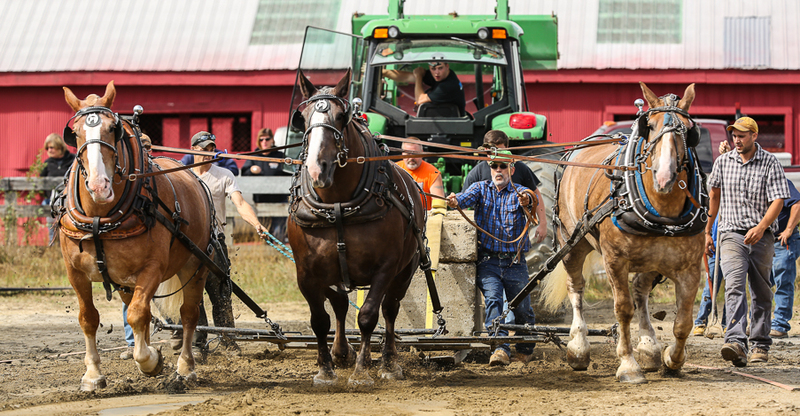 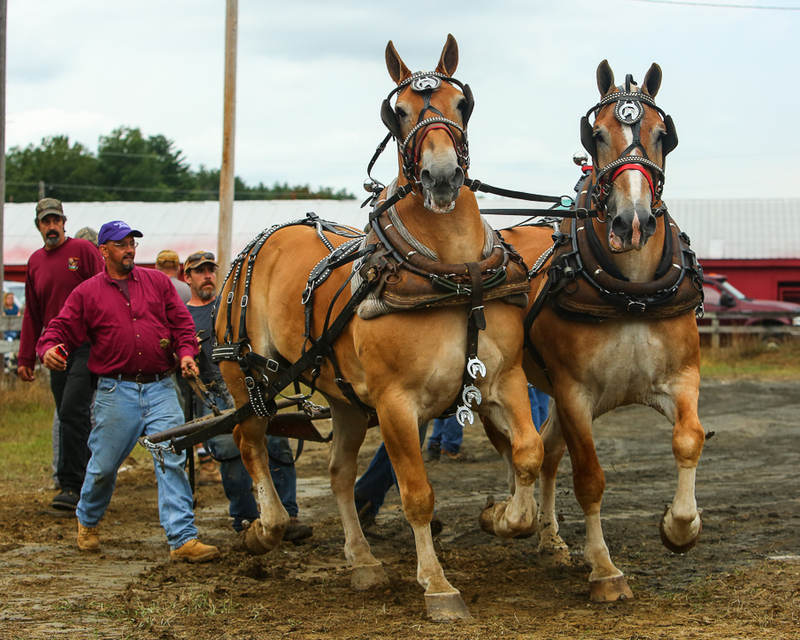 A paired team of pulling horses, one teamster per team, a one hundred foot measured pulling length with side boundaries and turning areas at either end. 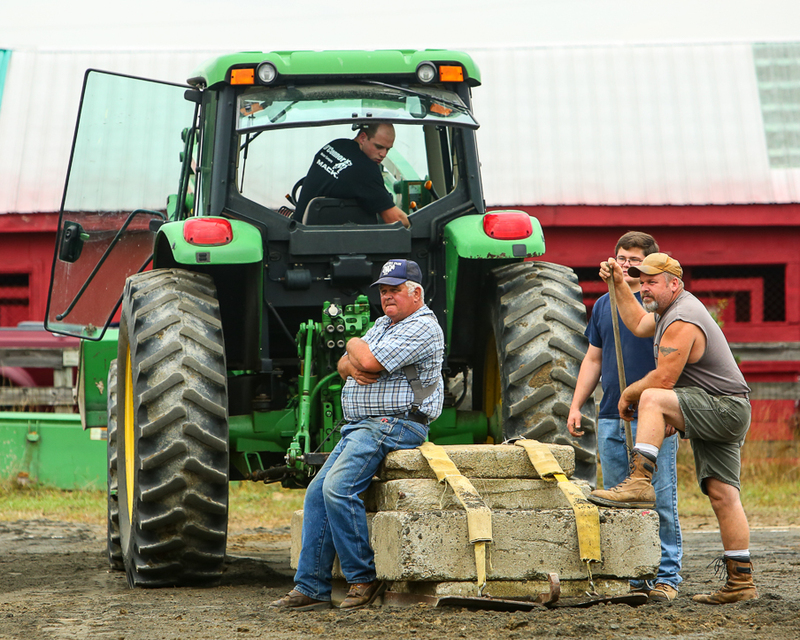 Five minutes time to pull twice the team’s weight as far as possible, turning 180 degrees after each successful 100 feet of pull. 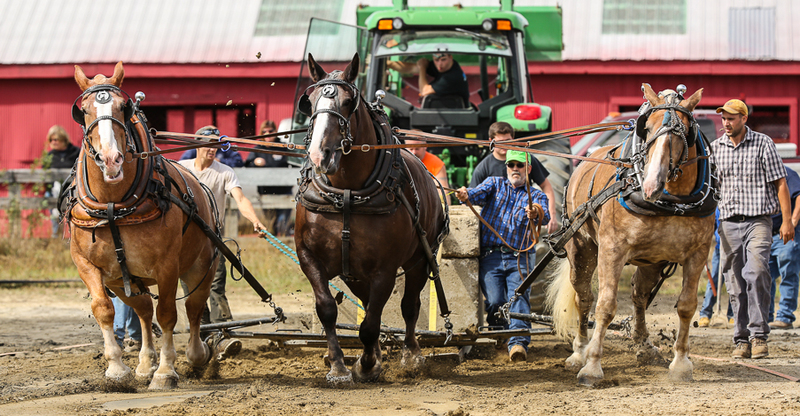 Winner pulls furthest within the bounds.